Q. How do I suggest a purchase? We have several ways you may recommend items for the library to purchase. For audiobooks, you can recommend we purchase via OverDrive. Please read the Does the library have audiobooks? blog post to learn more about this option. 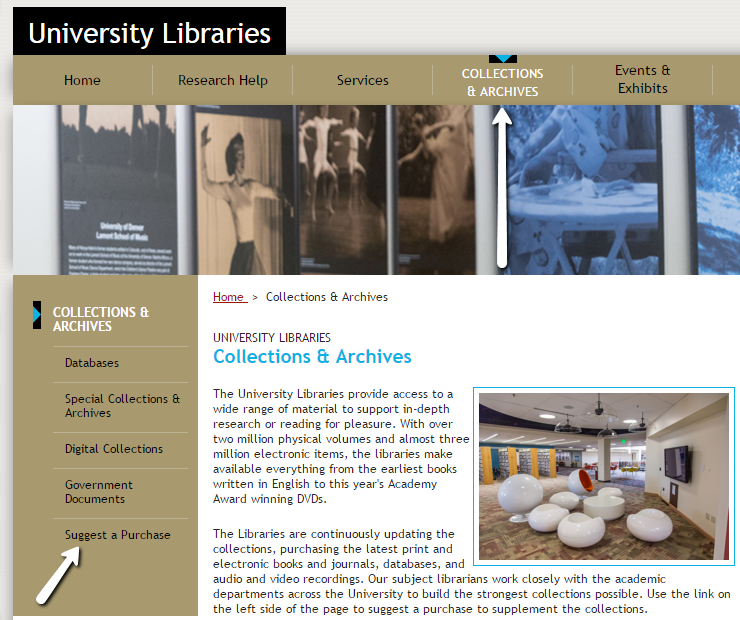 You also still have the option of contacting your department's liaison librarian directly to make a suggestion.